Member Executive Committee & CHRO, Prior to joining Tata Motors, Gajendra worked with Tata AutoComp as President (People & Engagement) Group CHRO, before joining Tata AutoComp he was with Siemens in India, Germany and USA for almost 13 years where he held various assignments, starting as Regional HR Manager (North) in 1992, then as Divisional HR Manager for the newly formed Telecom Div. In 1997 he moved to Corporate Headquarters as Corporate Head for Industrial Relations & then in 1999 took over as Head of Corporate Leadership and Human Resource Development. 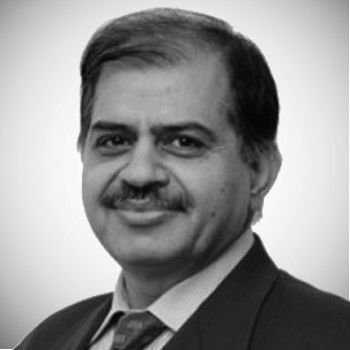 In December 2000, he moved to Global Headquarters at Siemens AG, Munich to Head the Global Leadership Framework Project, prior to Siemens, Mr. Chandel has worked with Telemecanique & Controls Limited, New Delhi, Ganga Automobiles, Delhi, Calcom Electronics Ltd. and the Dhanalaxmi Group, Chennai.